The Club has been active as a private Club since 1957 when it was established by the staff and patients of the hospitals of Mont Park, Larundel and Gresswell. In fact the land on which it still exists today was once the grazing and farming areas of the hospital complexes. 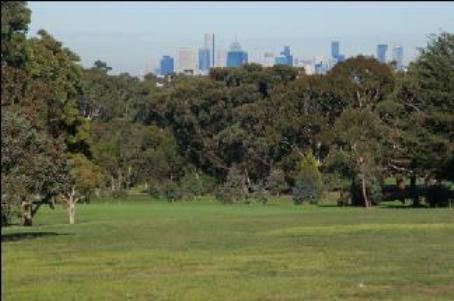 Today, it still operates as a not-for-profit organisation, managed and operated by member volunteers, enabling the Club to offer low-cost membership fees and competitive Green Fee charges to the general public. All course maintenance and improvement works are carried out by professional ground staff contracted to the club, assisted where appropriate by member volunteers. The course is open to members and the public every day between 7.00 am and late afternoon and green fees are normally paid at the Club office. When the office is closed, green fees are paid in the “Pro Shop”. 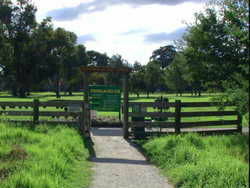 The Club has a limited range of pull buggies, left and right handed golf sets for hire. A limited number of ride-on (electric) buggies are also available for hire. Green fees and hirings can be paid by cash and/or ETFPOS facilities. 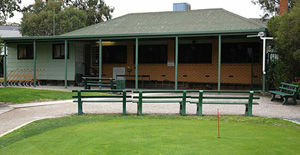 The Club also has practise nets and a practise Putting Green and a licensed Club house where light refreshments and bar facilities are available. The Pro Shop is located adjacent to the Clubhouse with Kevin Quigley as the resident Teaching Professional. 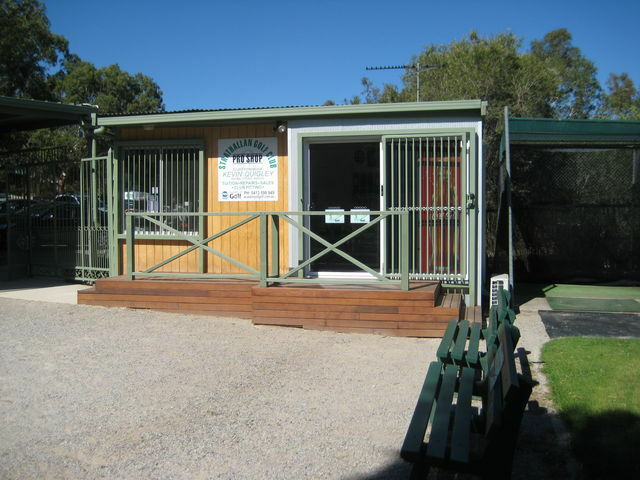 Kevin provides a full range of golfing services expected of a Pro Shop including equipment purchases and repairs, golfing accessories, clothing and teaching services for groups or individuals. The Club runs a variety of team and individual competitions on Wednesday, Thursday, Saturday and Sunday. The Wednesday competition is a men’s and Thursday is a women’s competition. Weekend competitions are mixed and open to men and women. These competitions are normally limited to club members and visitors with an approved Australian handicap. All Club competitions provide a range of prizes and most competitions provide separate prizes according to handicap levels (A, B and C grade) for both men and women. Apart from the women’s competition on a Thursday, all other competitions are arranged under an organised booking system that determines hit-off times. This arrangement is based on a card draw that normally occurs 30 minutes before the first hit-off time on the week before the event is scheduled. Any member who wishes to have a priority tee time should attend the card draw and participate in the draw that determines the member’s (or member’s group) tee time. Copies of the current year’s playing syllabus are available from the office. As well as normal competitions, the club also conducts a social 9 hole competition called the “chicken run”on Friday evenings during daylight saving time. This competition is open to members and visitors (with or without an official handicap) , prizes are awarded and after the game refreshments and Barbecue food is available. First hit-off is at 3.00 pm with the last hit-off occurring before 6.00 pm. Visitors are encouraged to participate in this event as it is a good way to experience the club in an social setting. Refer to the Notices page for the exact starting and finishing dates. On the Boxing Day holiday each year, the club holds a mixed social competition with a shotgun start. Members are encouraged to invite their friends to participate in the competition, regardless of whether or not they have an official handicap as this is a great way to unwind from the Christmas Day festivities. Refreshments are available on course during the competition and at the end of play a light meal and refreshments are available in the Clubhouse. This event is conducted as part of the Seniors Festival Week sponsored by the Victorian government every year in October. For the past 5 years, Strathallan Golf Club has participated in this festival by staging a Seniors Golf Classic event. In fact, for the past 4 years, Strathallan has been the only metropolitan golf club that has staged such an event. The event is normally a mixed 4BBB Stableford event and his open to members and non-members that have a valid Australian handicap. Strathallan has been confirmed as the sole metropolitan club to host this event. This year, the Strathallan Seniors Golf Classic will be held on 17th October. This event will feature an opportunity to win a new Ford car for a hole-in-one (conditions apply, refer to brochure).